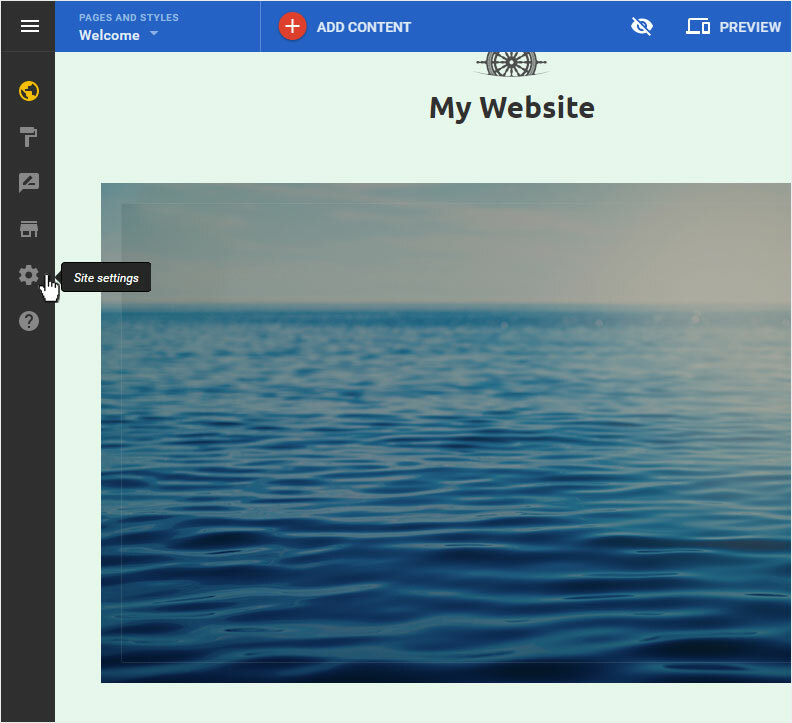 You begin on the home page of Designer's editor and are thus in the «Site editor» view. Click left on the menu item «Site settings». You can now see the «Site status» page of the «Site Settings» area. 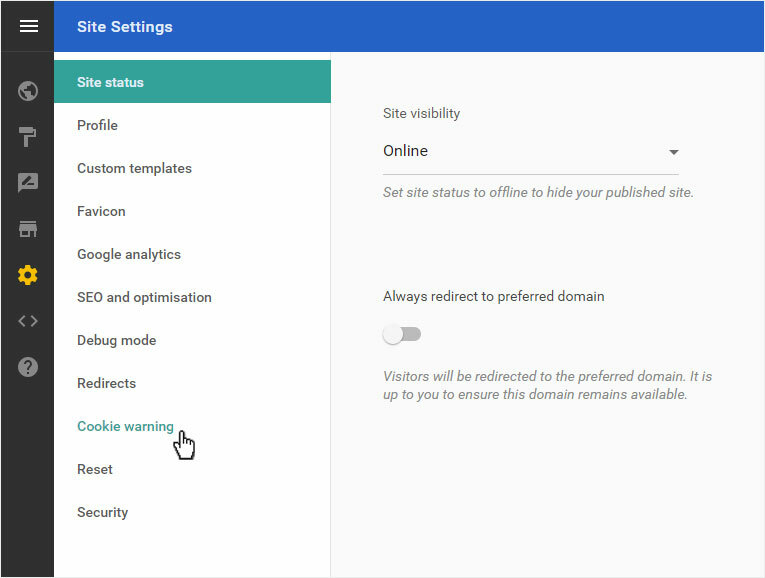 Click on «Cookie warning» in the menu on the left. Select in the drop-down menu «Enabled» whether you want to disabled or enabled a «cookie warning». 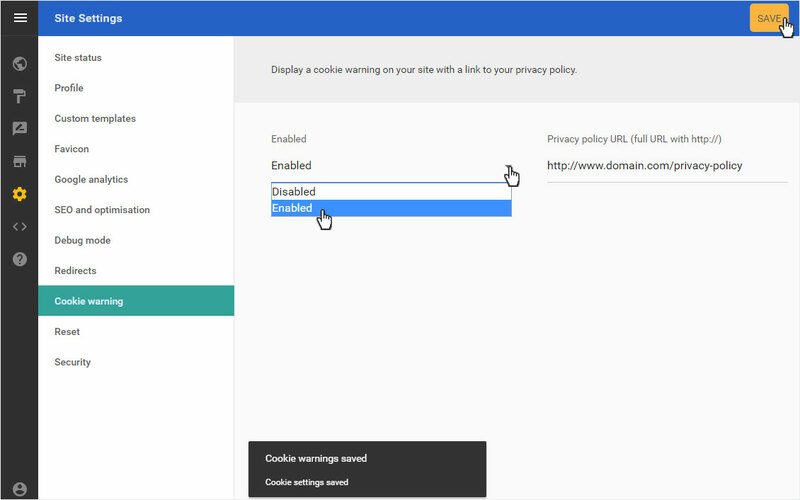 To create your cookie warning, click on «SAVE».